That's right. Hot honey. Mike's Hot Honey ($10) is a chili pepper-infused honey, handmade in Brooklyn, NY with honey, vinegar and chilies. It's tasty in and on pretty much anything, from hot green tea to pizza. Then again, what isn't tasty on pizza? Wait, what we were talking about? Oh, Mike's Hot Honey. Right. It's damn good. Despite the huge nutritional and health benefits offered by Bison meat — incorrectly referred to as "Buffalo" by most grocers — it's not the easiest thing to find unless you've got a Whole Foods-ish establishment nearby. 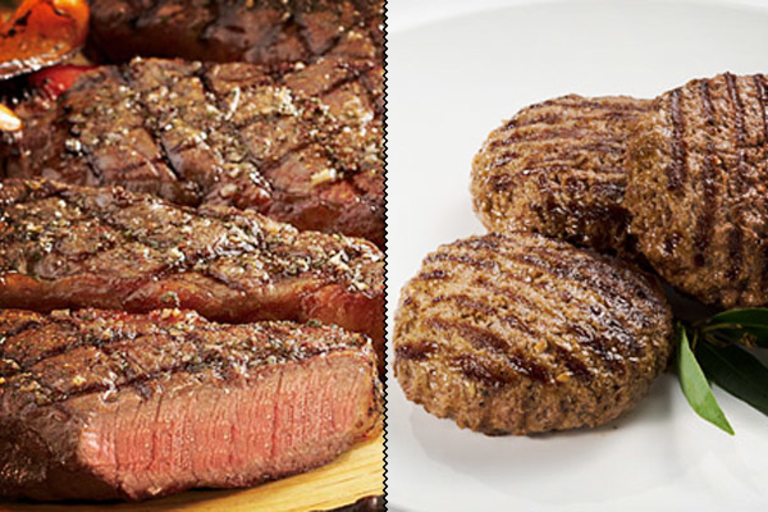 High Plains Bison ($36-$130) aims to fix that by offering bison meat that's been humanely raised by hand-selected ranchers on the High Plains, available in a series of products that range from humble cocktail sausages to presentation-worthy Chateaubriand. Share your love of exotic foods with your next group of party guests by plating up some Wild Boar Salami ($64/4 pieces). A mixture of field-harvested Texas wild boar and all natural pork belly, this unique meat is seasoned with cloves and juniper berries for a flavor that's both sweet and savory, and pairs well with a variety of nuts, breads, fruits, and cheeses. This isn't your average comes-in-a-plastic-bear stuff. 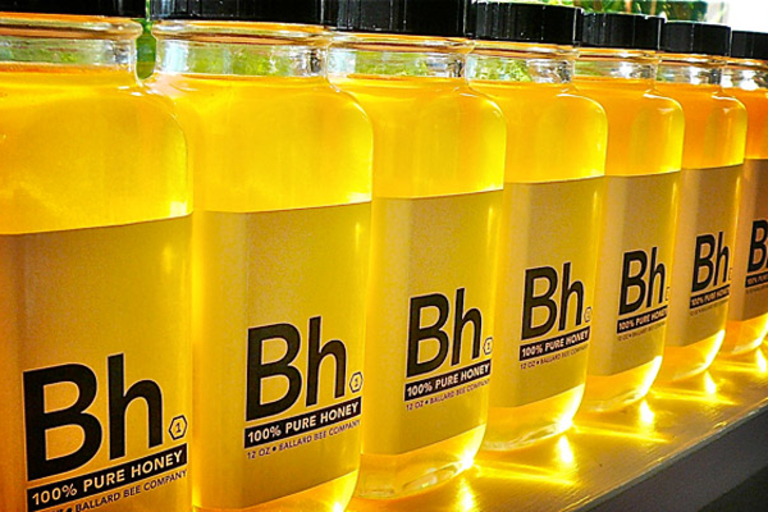 Ballard Bee Honey ($TBA) is made unfiltered, raw honey derived from the work of local bees in Ballard, WA, bringing with it pollen and nectar from the area's diverse vegetation, resulting in a flavor that's more complex, tasty, and true than any you'll get from a large-scale corporate farm. Can your taste buds survive the ultimate in heat? 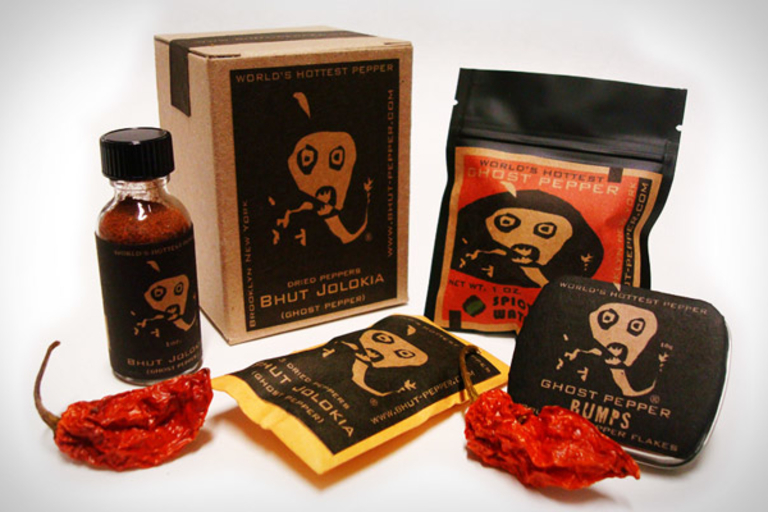 Bhut Jolokia Ghost Pepper ($10-$40) offers up the world's hottest chili pepper in a variety of forms — including whole dried peppers, powder, crushed dried peppers, and even spicy watermelon candy — so you can kick your recipes up to nuclear hot levels with minimal effort. Looking for the perfect snack to go with your favorite stout? Beer & Pretzel Marshmallows ($10) should do the trick. 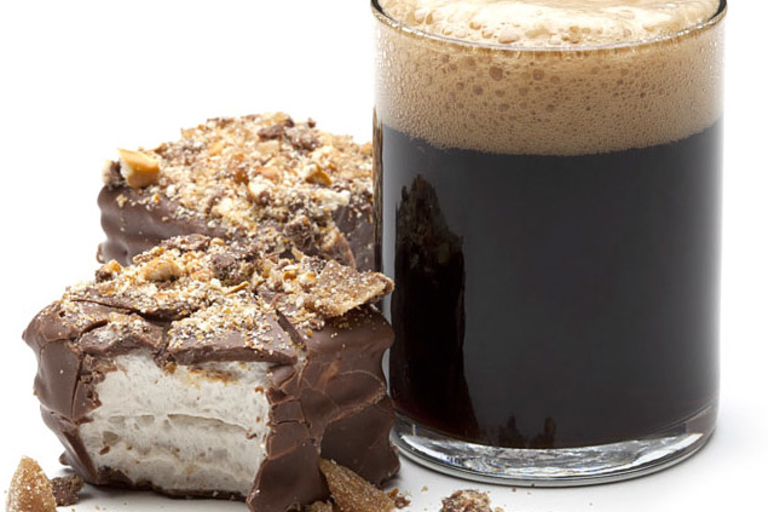 These tasty treats start with a thick and fluffy homemade beer marshmallow, which is dipped in milk chocolate and then topped with beer and pretzel brittle bits. If they had only managed to work some peanut butter and bacon in there, you might be looking at the ultimate man food. Craving something crunchy, chocolatey, savory, and sweet? 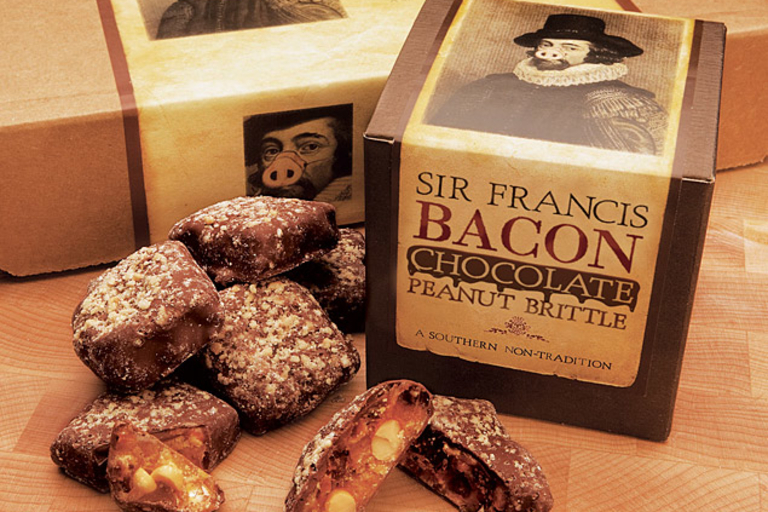 Chow down on some Sir Francis Bacon Chocolate Peanut Brittle ($18-$20). These bars are delectable bits of milk chocolate poured over brittle made from artisan smoked bacon and USA-grown peanuts, resulting in a flavor explosion of epic proportions that not even the father of the scientific method could explain.